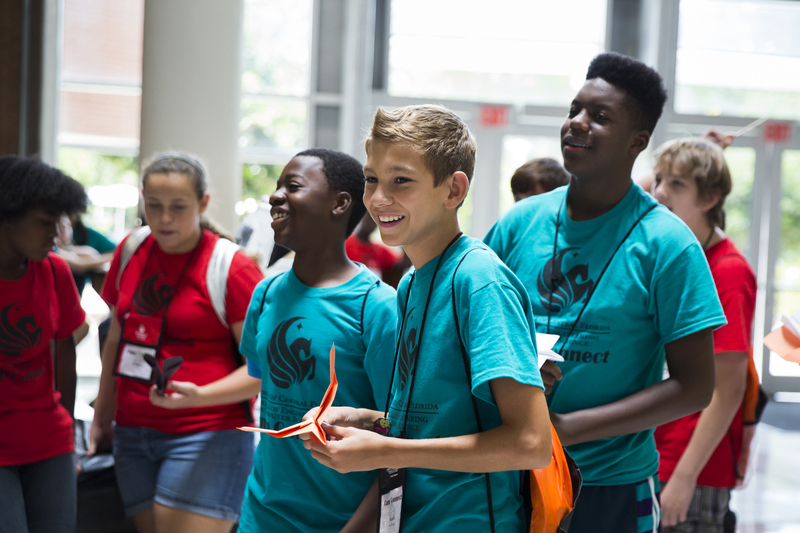 Camp Connect is a week-long day camp that introduces students to a variety of engineering disciplines such as Electrical, Computer, Industrial, Mechanical, Aerospace, Civil, Environmental, Construction, and Computer Science. 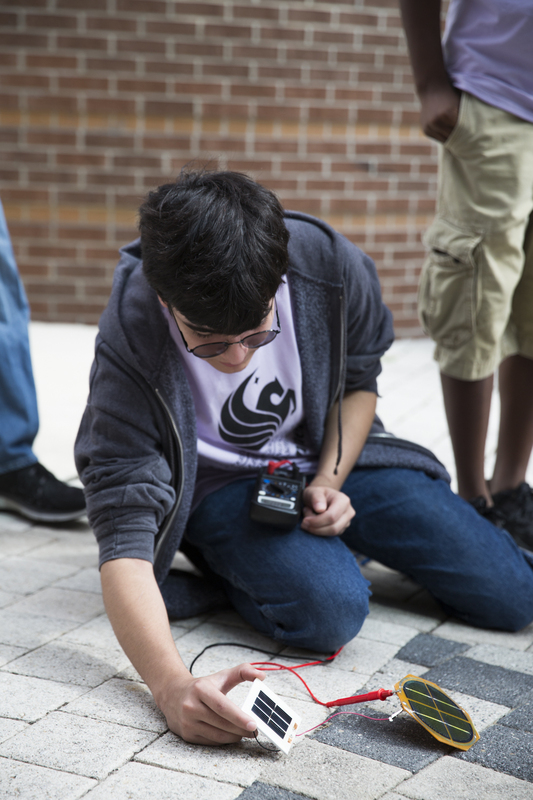 Students participate in hands-on activities, informative presentations, and exciting lab tours while getting a chance to see the UCF campus and meet our wonderful faculty and students! 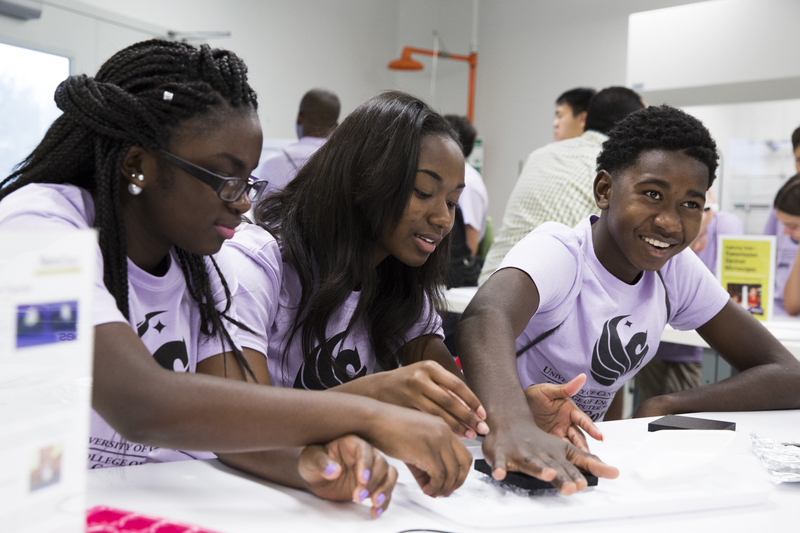 What: Camp Connect I introduces students to various engineering fields through hands-on activities, presentations, and lab tours. Each day focuses on a different department and activities are led by our own faculty and students. Students will also work on a team project to be presented on the final day of camp. Who: Rising 8th through 11th graders with a goal of increasing underrepresented communities (i.e. women, Hispanic, African American, Latino, American Indian/Alaskan native) in engineering and computer science. Students must be a minimum of 13 years old on or before September 1, 2019 in order to participate. June 11 – 14: Student sign-in will begin at 8:30am with the camp starting at 9:00am. Sign-out will be held from 4:30pm to 5:00pm. Please note that we do not offer early drop-off or late pick-up options at this time. Students must be picked up by 5:00pm. Invitations will be sent to accepted participants via email. Please be sure you allow emails from STEM@ucf.edu. June 10, 2019: Camp Connect I begins! What: Camp Connect II is a week-long camp that provides students with a deeper hands-on experience within the various engineering fields. Students participate in hands-on activities, group projects, and presentations led by our own faculty and student organizations. Students may also visit various off-campus UCF labs. July 9-12: Student sign-in will begin at 8:30am with the camp starting at 9:00am. Sign-out will be held from 4:30pm to 5:00pm. July 8, 2019: Camp Connect II begins!